The island of Hawaii is where the US meets Polynesia. Explore these stunning volcanic islands and soak up a fascinating culture and incredible landscapes. As well as mixing the perfect location for a beach holiday the island is also an adventure lovers playground with incredible hikes and a huge range of activities such as surfing and diving. 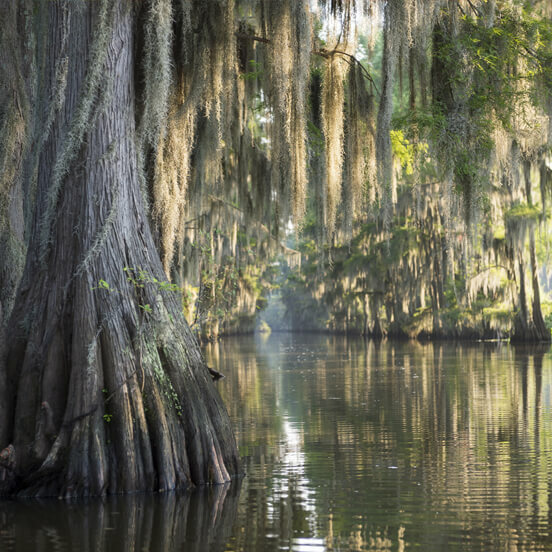 Is there a more evocative area of the US than the Deep South? Musically one of the most significant parts of the world, this is the birthplace of legends such as Johnny Cash, Dolly Parton and the King himself Elvis Presley. Moreover this is a mixing pot of cultures, and as such provides the traveller with one of the most immersive experiences in the US. 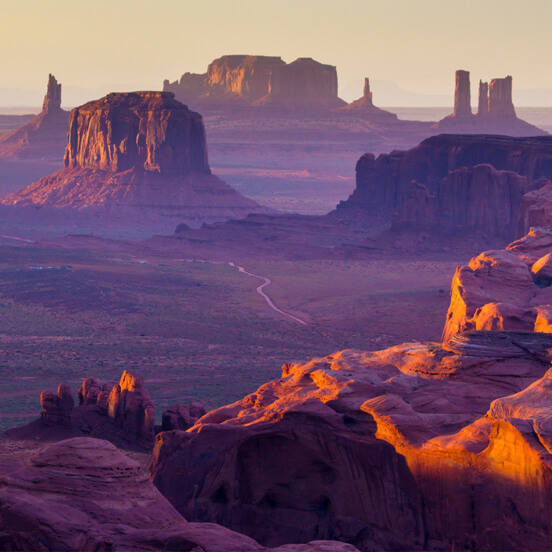 Most visitors to the US will see at least one of its incredible National Parks. 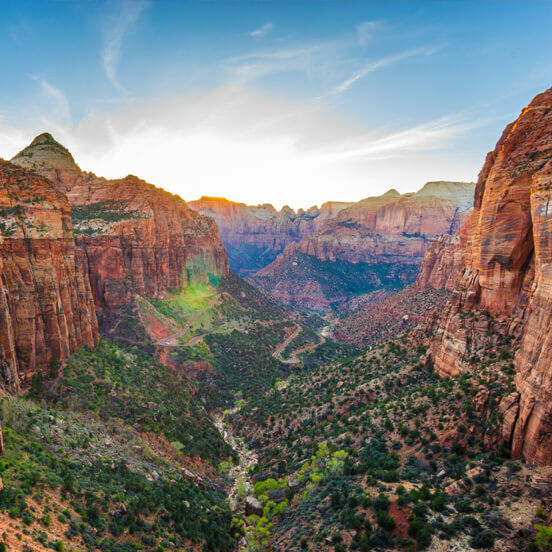 The most famous such as Yellowstone or the Grand Canyon draw millions of visitors, but there are far more less well known yet equally beautiful parks to visit. Spanning the entire US, there is sure to be a nearby National Park wherever you are in the country. Saddle up and pretend to be a cowboy. A ranch stay is perhaps one of the most famous ways to experience America. Wake up in big sky country with endless panoramas to take in, most ranches offer an incredible place to stay in some of the country's most beautiful spots. From bustling cities to snow-capped mountains and sandy beaches, the USA really does have something to suit all travellers. If you want to experience this vast and varied land in style, we’re here to help. At Azure, we offer luxury USA holidays to all the top destinations. Perhaps you can’t resist the allure of the Big Apple. 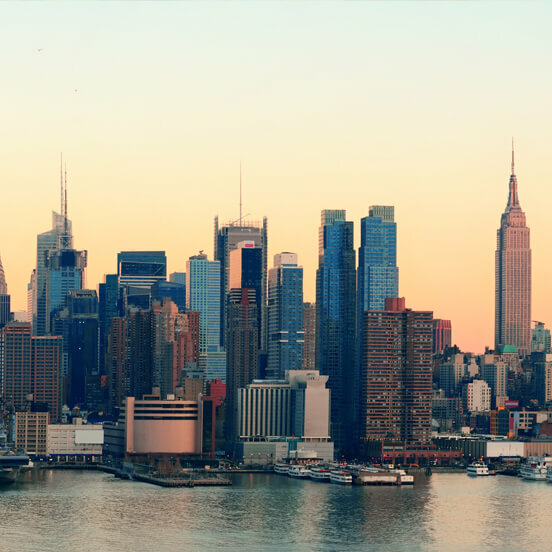 As well as its iconic skyscrapers, this larger than life city boasts attractions including The Met, Guggenheim and Museum of Modern Art, along with its famous Broadway theatres. A mecca for foodies from around the world, it’s also home to an array of eateries, from street food vendors to some of the world’s best fine dining restaurants. An oasis in the Mojave Desert, Las Vegas draws in visitors from around the world with its promises of money, music and showbiz. This glittering gem, centred around the famous Strip, is unlike anywhere else in the world. Regulars to its circuit include the likes of Celine Dion and Elton John, while top DJs such as Carl Cox and Steve Aoki regularly entertain the revellers. Just outside the city, huge canyons, towering mountains and pine-filled forests are waiting to be explored. For a warm and friendly welcome, look no further than Boston. Steeped in history and dubbed the ‘Athens of America’, the capital of Massachusetts has lots going on but somehow retains a small town charm. Check out the captivating sounds of the Boston Symphony Orchestra, watch the Red Sox do their thing at Fenway Park or take a stroll along the Freedom Trail. 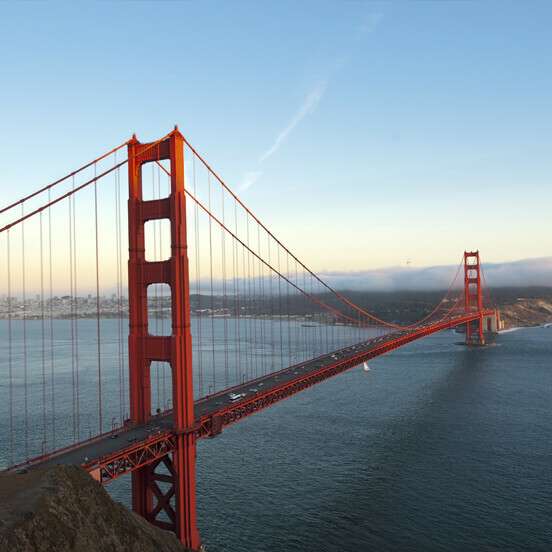 Basking in the sunshine of the Pacific coast, California encompasses everything from ancient redwood forests to modern metropolises including Los Angeles, San Diego and San Francisco. You’ll find some of the country’s most dramatic and beautiful national parks in the Golden State, along with numerous vineyards. Or perhaps Florida’s more your thing. 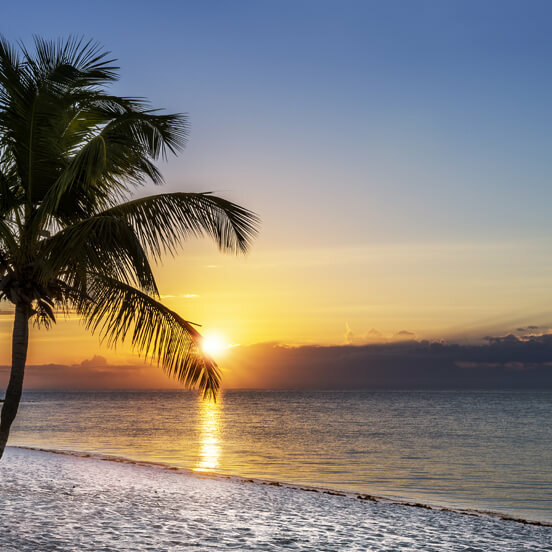 With its natural wetlands, golden beaches and world famous theme parks, it’s not hard to see why the Sunshine State is such a popular destination. Find the perfect area to sunbathe along its 1,200 miles of coastline, get stuck into watersports or immerse yourself in the fantastical world of Walt Disney. If it’s culture you’re after, you can’t beat Miami - complete with its historic districts and artistic hubs. 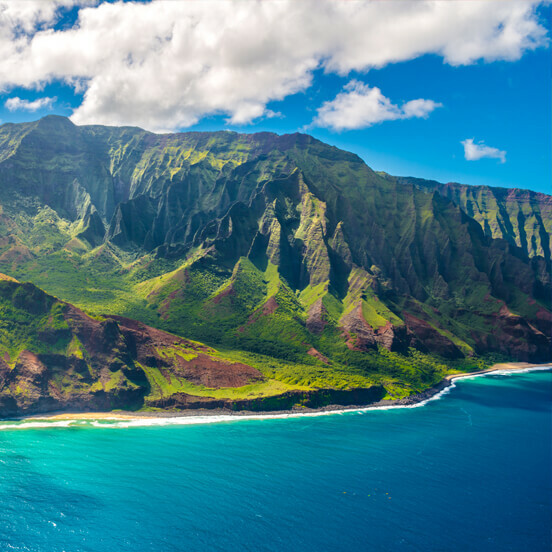 For a picture-postcard holiday, make your way to the tropical islands of Hawaii. Enjoy the laid-back lifestyle, take in the stunning sunsets, dance to the rhythms of the ukulele music and swim in idyllic waterfall pools. Get your camera ready for the spectacular views on offer at the Hawaii Volcanoes National Park and the Kalaupapa National Historical Park too. Want to experience a taste of the American Wild West? We can arrange for you to stay on a luxury ranch and give you a chance to saddle up and test your skills as a cowboy or cowgirl under ‘Big Sky Country’. We’re experts in creating luxury USA holiday packages that tick all the boxes. Choose from a range of 5 star hotels and unique holiday experiences that have been handpicked to provide unforgettable encounters with this fascinating and awe-inspiring country. To discover more about the holidays we offer across the USA, don’t hesitate to get in touch with our friendly and professional team by phone or live chat.